The heavy-duty polyethylene construction of these spill containment trays won’t rust or corrode. 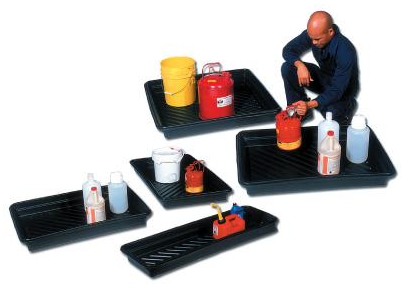 The utility drip oil tray’s ribbed bottom keeps cans, pails and other containers elevated above any spills or leaks. These trays are stackable for easy storage when not in use.